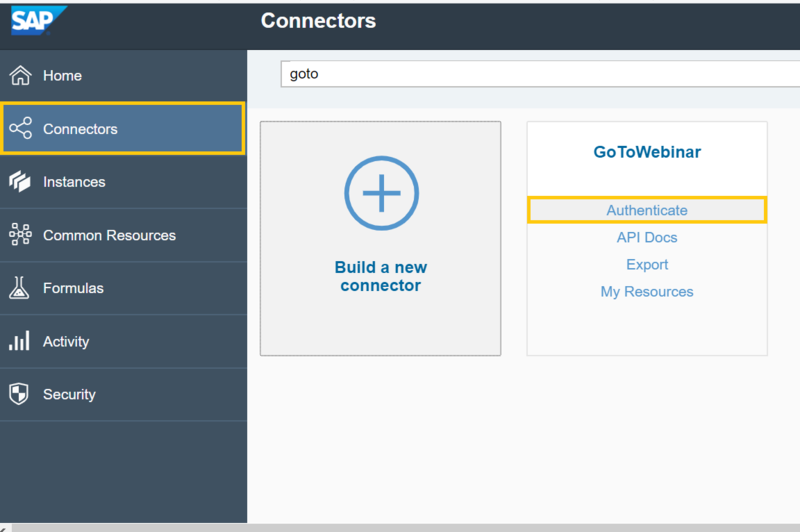 In below blog would like to share how we can integrate GoTo Webinar with SAP CPI using SAP Cloud Platform Open Connectors service. 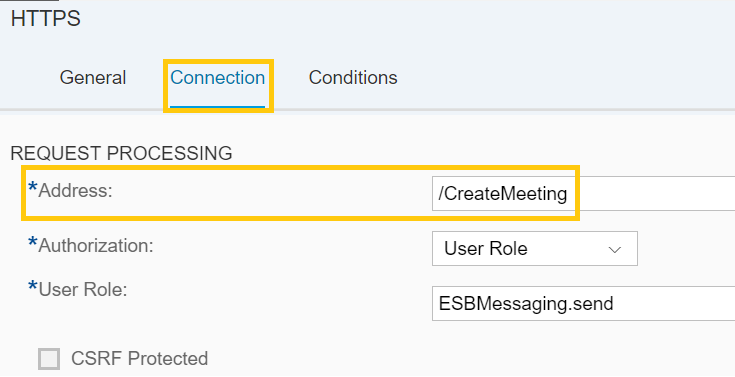 Will create a new meeting in GoToWebinar by posting the data from POSTMAN. 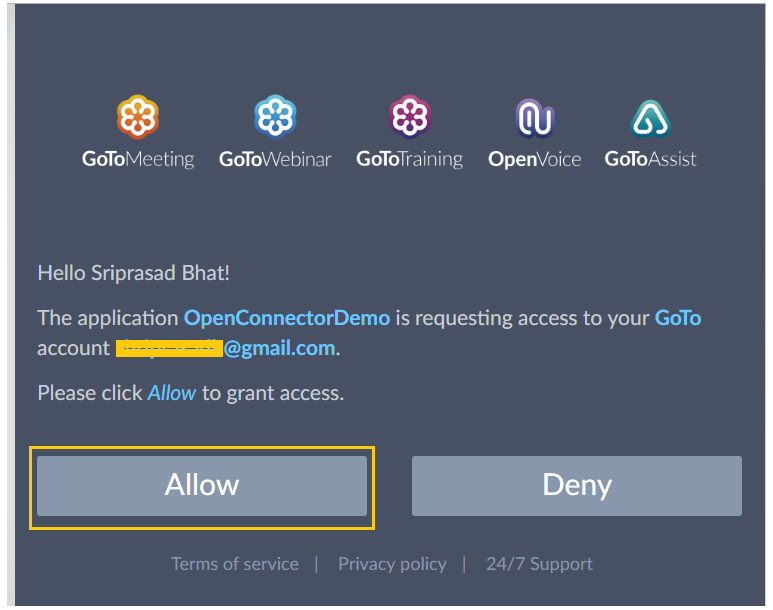 Login to https://goto-developer.logmeininc.com/ follow below step. Click on My Apps and then Add a new App. Once you are done click on save which will create client_id and client_secret for you. 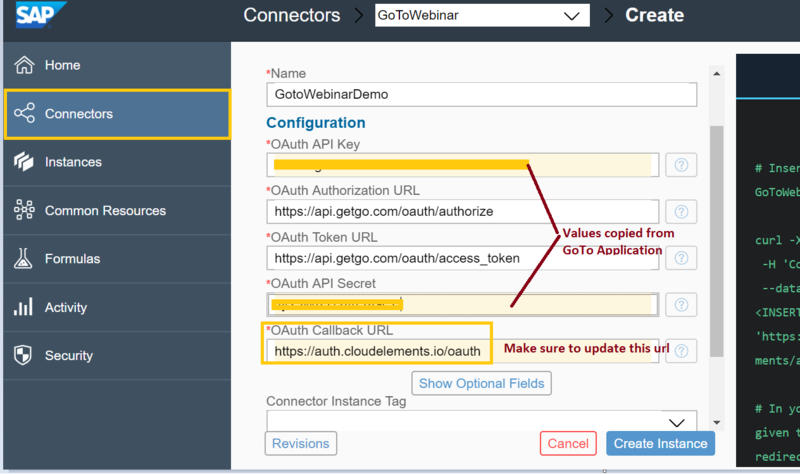 Login to SAP CP- Open Connectors and authenticate GoToWebinar instance. 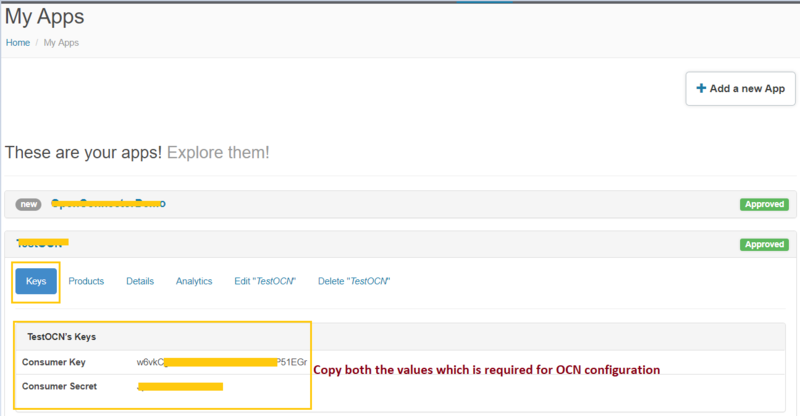 Enter all the required parameters by clicking Optional Parameters.Make sure OAuth callback url is “https://auth.cloudelements.io/oauth” and click on Create Instance. 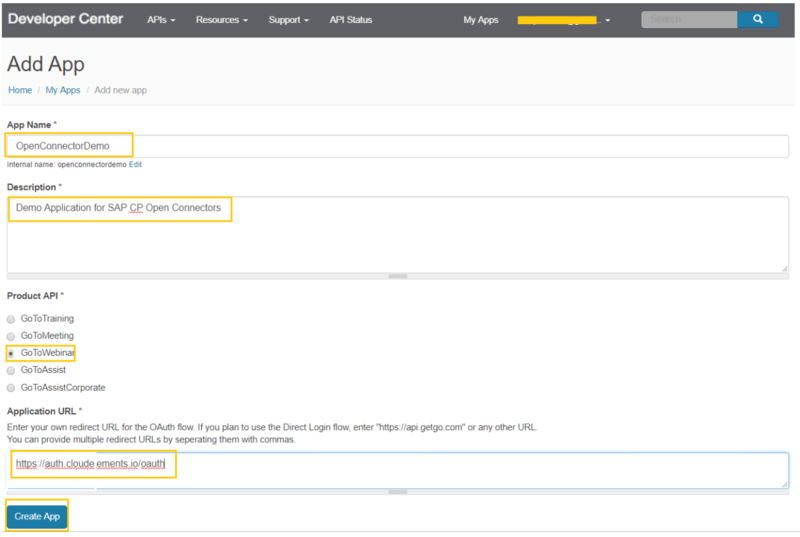 Once instance is successfully instantiated you will get below message and click on API docs to test the connectivity. Now click on Try it out. Create an sender Communication Channel like below. Add an Content Modifier to delete the unwanted header. Add an Content Modifier to include Authorization header. Add an Communication Channel with below configuration. Save and Deploy your IFlow. And good to go with testing. And here is the response with HTTP Code-200 then we can check same in GoToWebinar. Time to check in GoToWebinar account for the newly created webinar.